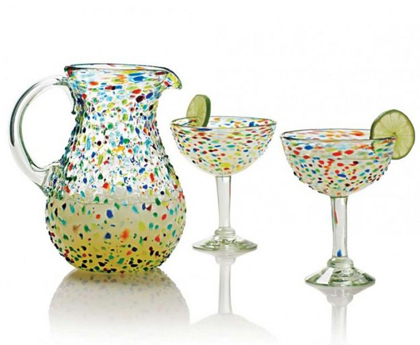 Guaranteed to put a smile on your and and your guests’ faces, this bright Confetti Margarita Collection is sustainably made of recycled materials, which means you’ll be smiling because your happy hour is eco-friendly too. $79-$98. Buy here. 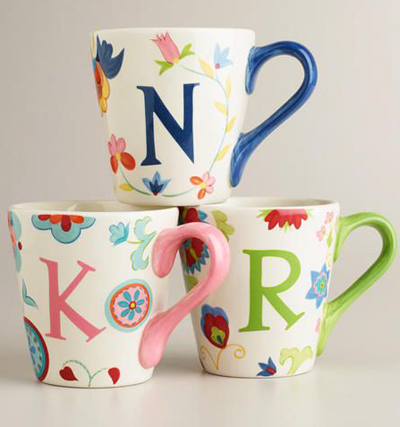 These bright and cheery Monogram Mugs are a great personalized gift for a friend – and for you! Each sizable mug is crafted of durable earthenware, with distinctive artwork that makes each letter its own special standout. $6.99. Buy here. 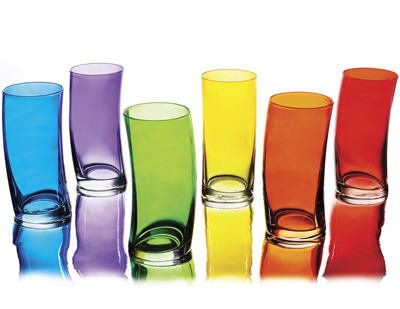 These colorful translucent Swing Tumblers turn every beverage into a cause for celebration. Whether you wet your whistle with a tall glass of orange juice or a Long Island iced tea, you’ll like the way the curved glass fits in your hand and how the vibrant translucent hues make you feel. Sold as an assorted set of six. $64. Buy here. An ideal look for summer entertaining! 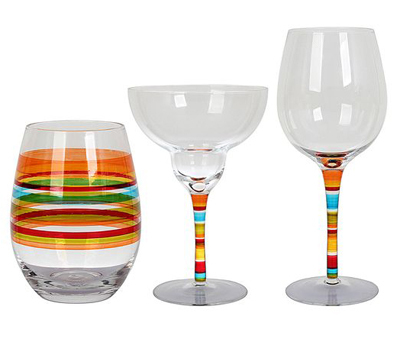 From Formation, the Rio Fiesta Drinkware features hand-painted Fiesta stripes on stems. Tumbler, margarita glass and wine glass sold separately. $7.95-$8.95. Buy here.